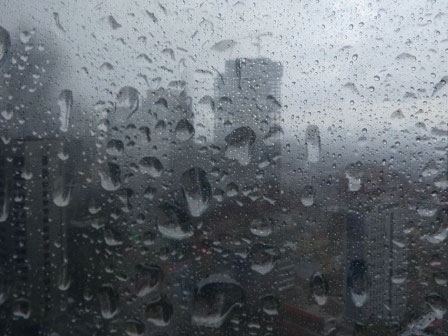 BMKG forecasted rain to fall in some Jakarta regions this afternoon.
" Seribu Islands and East Jakarta are potential to rain"
BMKG's Public Relation Head, Hary Tirto Djatmiko said, partly sunny in all Jakarta areas this morning. "In afternoon, West Jakarta will be partly sunny, Central Jakarta and North Jakarta will be cloudy, and Seribu Islands will be overcast. But Seribu Islands and East Jakarta are potential to rain," he informed, Sunday (10/21). He explained, most Jakarta areas including Seribu Islands will be partially cloudy tonight. "Tomorrow's dawn will be also partially cloudy," he added. He mentioned, wind is blowing from northeast to southeast with velocity 10-25 kilometers per hour. While humidity could reach 50-90 percent. "Temperature could reach 24-33 Celsius degree today," he stated.